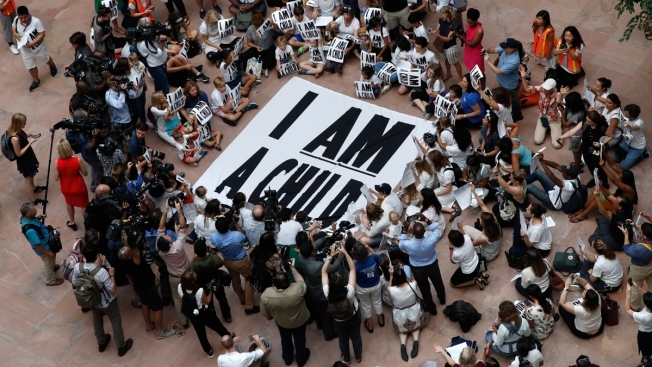 In this July 26, 2018, file photo, families with young children protest the separation of immigrant families with a sit-in at the Hart Senate Office Building on Capitol Hill in Washington. The government has made only incremental improvements to its troubled efforts to care for thousands of migrant children detained entering the U.S. without their parents, perpetuating a problem the Trump administration has aggravated with its “zero tolerance” immigration crackdown, a bipartisan Senate report said Wednesday, Aug. 15. The government has made only incremental improvements to its troubled efforts to care for thousands of migrant children detained entering the U.S. without their parents, perpetuating a problem the Trump administration has aggravated with its "zero tolerance" immigration crackdown, a bipartisan Senate report said Wednesday. The 52-page study said no federal agency takes responsibility for making sure children aren't abused or used in human trafficking once the government places them with sponsors, who sometimes aren't their parents or close relatives. Immigration judges are ordering the deportation of growing proportions of these children partly because the government does little to ensure they get to court, and officials haven't provided sufficient mental health services for some of them, the report said. "Major deficiencies persist that leave the children at significant risk for trafficking and abuse and undermine our immigration system," said the report by the Senate Homeland Security Committee's investigations subcommittee. 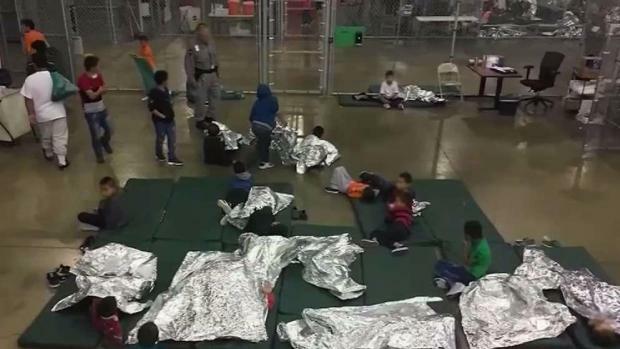 It said a recent attempt at coordination between the departments of Health and Human Services and Homeland Security "does little to offer hope that federal agencies are working to improve" children's safety, and it called the situation "untenable." DHS, HHS and the Justice Department said in a joint statement that the report "misses an opportunity to address decades of congressional inaction" that has spurred the influx of unaccompanied children. 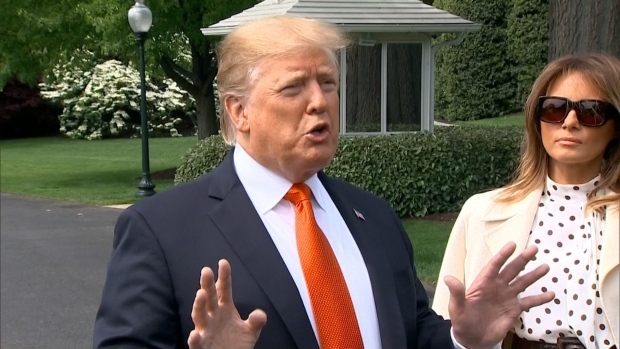 They faulted the report for "erroneously" saying Trump had worsened the problem and accused lawmakers of ignoring problems like immigrants joining gangs and smuggling and trafficking by criminal organizations. "We will not be able to fix these long standing problems" unless Congress addresses those issues, they said. The report comes as attention has focused on another set of migrant children: more than 2,000 who were separated from their parents as part of President Donald Trump's policy of aggressively prosecuting immigrants entering the country without authorization. Though most of those children have been reunited with their parents or others, the costs involved "have stretched thin" HHS' "already limited resources," the report said. The authors wrote that when they asked that agency to detail its efforts to check on children placed with sponsors, "HHS told the subcommittee that it can either work to reunite families or update data — but not both." More than 200,000 unaccompanied children have entered the U.S. without legal status over the past six years, and most problems started under President Barack Obama, the report said. "This is an incredibly difficult issue and it's not a partisan one," said Sen. Rob Portman, R-Ohio, the subcommittee chairman. The panel's top Democrat, Delaware Sen. Tom Carper, took a more partisan tone, saying, "This administration continues to make an already challenging reality for migrant children even more difficult and more dangerous." When unaccompanied children are apprehended, Homeland Security must quickly transfer them to Health and Human Services, which then tries placing them with parents, relatives or others until a court hearing — a wait that typically takes 480 days. If a sponsor can't be found, children are held in facilities often run by government contractors. Once they're with sponsors, HHS has trouble tracking them. In figures originally released in April, when officials tried calling 7,635 children late last year who'd been placed sponsors, they were uncertain where about 1 in 5 were. Twenty-eight others had run away. Since 2015, HHS has been checking on children 30 days after going to sponsors. The report called that "a small step in the right direction" but added, "It is concerning that HHS apparently takes no action to address the alarming situations it discovers when it makes those calls." It also said that in about 1 in 7 instances, it couldn't reach the sponsors, which "should be a significant red flag," the report said. The report said HHS usually doesn't notify state and local authorities when it puts children with sponsors in their communities, letting some fall through the cracks when it comes to attending school. When HHS by law turns over children to DHS when they reach 18, it often doesn't provide required recommendations for appropriate care. HHS has stopped providing legal services to children newly placed with sponsors because it believes it has only "shaky" authority to do so. 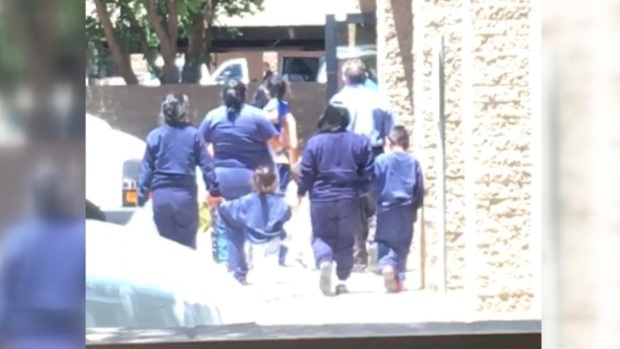 And no agency makes sure the children appear at their immigration court proceedings, with many sponsors failing to honor their agreement to get them there, the report said. The children's lack of legal advice and a shortage of judges have contributed to a backlog of total immigration cases that has grown to 734,000, including 80,000 involving these children, the report said. Of 9,600 cases involving children that were completed in the first half of this year, judges were ordering 53 percent of them to be deported without the children even appearing, up from 41 percent in 2016. The investigations subcommittee, which is holding a hearing on the topic Thursday, has been studying the problem since 2015, when it learned eight children had been placed with members of a trafficking ring. The panel complained that despite years of prodding, it took DHS and HHS until last month to produce an agreement delineating their responsibilities. That pact "only reflects longstanding protocol, not improvements," the report said.